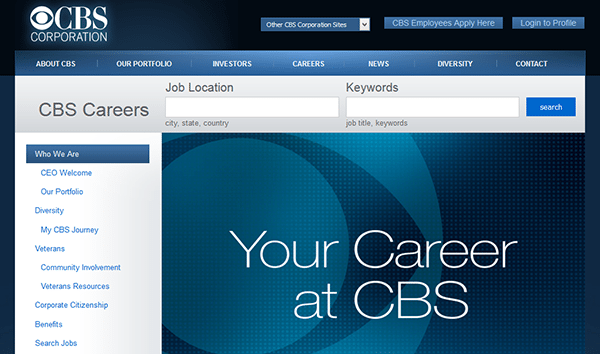 Search for numerous positions on the company’s careers website and fill out/submit the official CBS job application. Several different career types can be searched/applied for including radio, TV, corporate, studio, and distribution positions. Learn more about the company’s online job search process by reading the instructions posted in the below section. 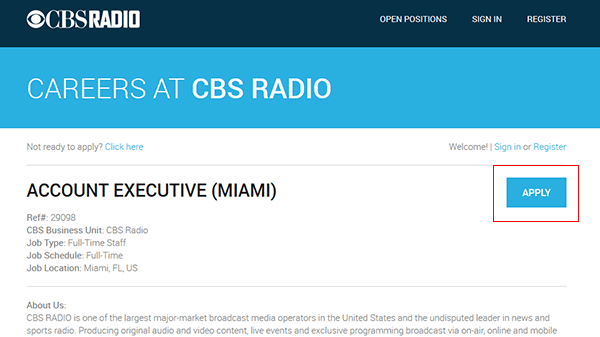 About the Company: CBS is an American broadcasting company based out of New York City, New York. The company was founded in 1927 and operates both television and radio broadcasting stations. 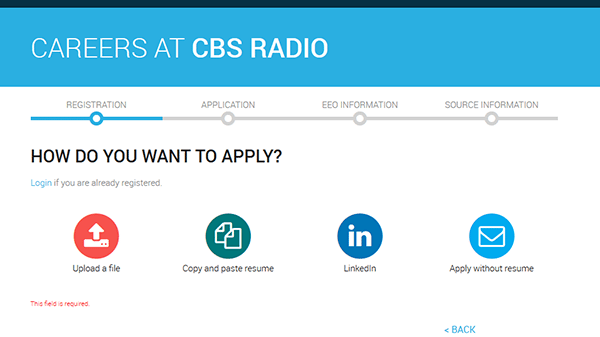 Step 1 – Press this link to have the CBS jobs website load in a separate browser window or tab. Step 2 – Enter a location/keyword into the search form and then click the “Search” button to load the results. Step 3 – The list of openings can be sorted by relevance, business unit, job type, city, state, or title. Click the title/link of the specific job that you’re interested in applying for (to go to the next step of the process). Step 4 – Press the button as outlined in red in the below image. 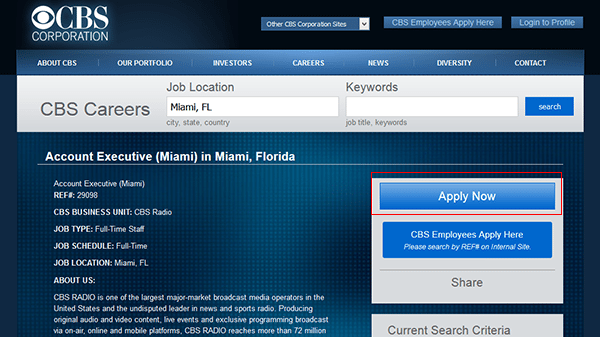 Step 5 – Read the job description and then click the “Apply” button. Step 6 – If you’re a new user click the “Register Now” button to go to the account creation form. 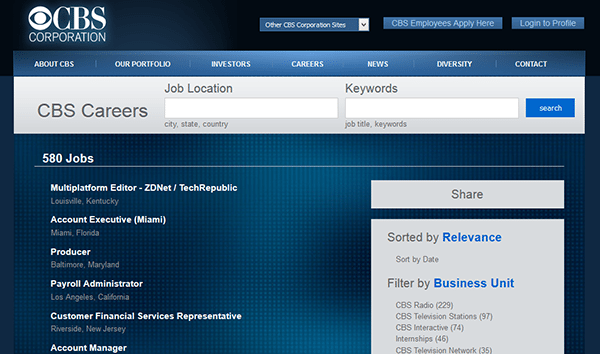 Step 7 – Select how you want to apply for the job (resume, LinkedIn, file, etc.). Step 10 – After all of the required details have been entered into the form you will be able to submit the application for processing/review. Note: Applications typically take 3-10 business days to be reviewed.